Home » cookbook » Help me choose! I am sooo excited I can hardly type. I am embarking on a new project and I am thrilled to tell ya about it. Have you seen the Julie/Julia Project? Or seen the movie Julie & Julia??? I absolutely heart it… really. Now I grew up in the age without the Food Network and Julia Child was about the only cook on TV that I can remember as a kid. I remember lovin’ her so much that I would pretend I was her as I wrapped my modeling clay in tin foil pretending it was the Thanksgiving turkey and I, Miss Cris, was your cooking show a la Julia. We won’t talk about how that modeling clay was green and made for the most unappetizing bird. Anyhoo, as an adult I discovered that while I love Julia, her cooking style doesn’t exactly fit my lifestyle. However, after seeing the movie for the 100th time, I gots to thinkin’ that I do have a certain cookbook (or set of cookbooks) that I’d love to cook my way through and blog about along the way. I emailed my GOODe friends over at Gooseberry Patch and asked if they’d mind if I let my readers choose one of their cookbooks for me to cook through here on GOODEness Gracious. As usual, they were wonderful and gave me the green light. Bachelor #1 is: What’s For Dinner? Hot & Hearty… Soup’s On! It’s Six O’clock, Mom, What’s for Dinner? No Dessert ’til You Clean Your Plate! And, last but not least, Bachelor #3: 5 Ingredients or Less! 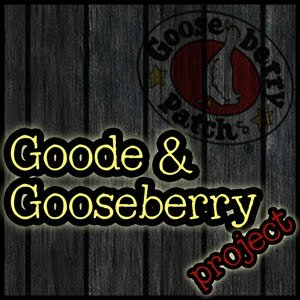 Just popped over from the Gooseberry Patch blog and my choice would be Mom's Favorite Recipes. Have fun and I will definately be back to check in and see what's cookin'! My vote goes to Mom's Favorites. It will be fun following along with you. Good Luck! This is a great idea. I have LOTS of GBP books and have two of these, but I don't have the "Whats for Dinner", so will vote for that and might have to get the book and follow along. Good Luck. My DD got me the movie and I loved it.